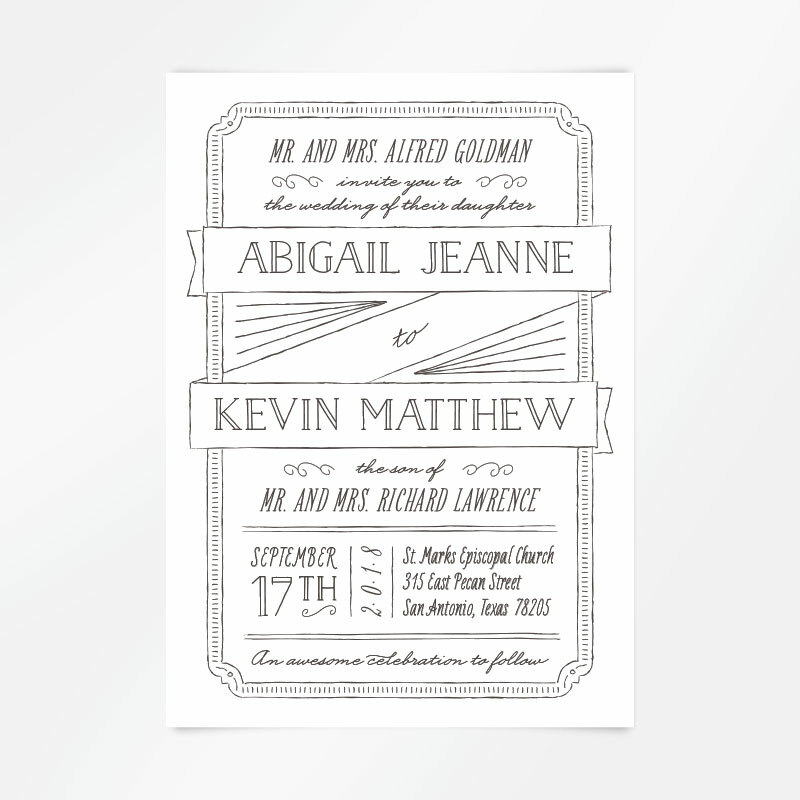 Drawn To Each Other wedding invitation design — RINGLEADER paper co. This 5" x 7" letterpress invite is printed on thick, soft paper on vintage Heidelberg presses, resulting in a beautifully tactile impression. All letterpress invitations include complimentary envelopes and are available with matching accessories.